Process heating is vital to nearly all manufacturing processes, supplying heat needed to produce basic materials and commodities. According to the U.S. Department of Energy (DOE), heating processes consume about 5.2 quadrillion Btu of energy annually, which accounts for nearly 17% of all industrial energy use. The following opportunities were derived from the U.S. DOE’s Seven Ways to Optimize Your Process Heat System. 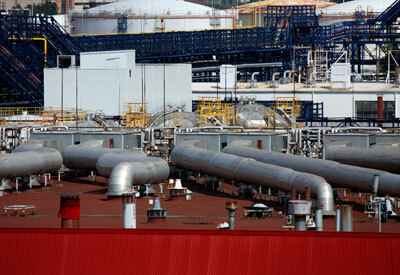 They may provide you with a place to start for optimizing your process heat operations. Conduct regular insulation inspections and repair insulation as it is damaged or worn. Insulate pipes and equipment that is inadequately insulated. The following resources, tools and case studies may help you move forward with optimizing your process heat system. DOE Office of Industrial Technologies (OIT): Best Practices for Process Heating. You may be able to optimize your process heating by implementing technologies and operating practices, which are highlighted on these Web pages. MnTAP Source Article: Heat recovery (see page 3). Your facility may be able to implement waste heat recovery strategies to capture wasted heat and reuse it in process operations. The U.S. DOE offers one software tool, Process Heating Assessment and Survey Tool (PHAST), for evaluating process heat systems.